Looking for a dessert that’s a little different this holiday? 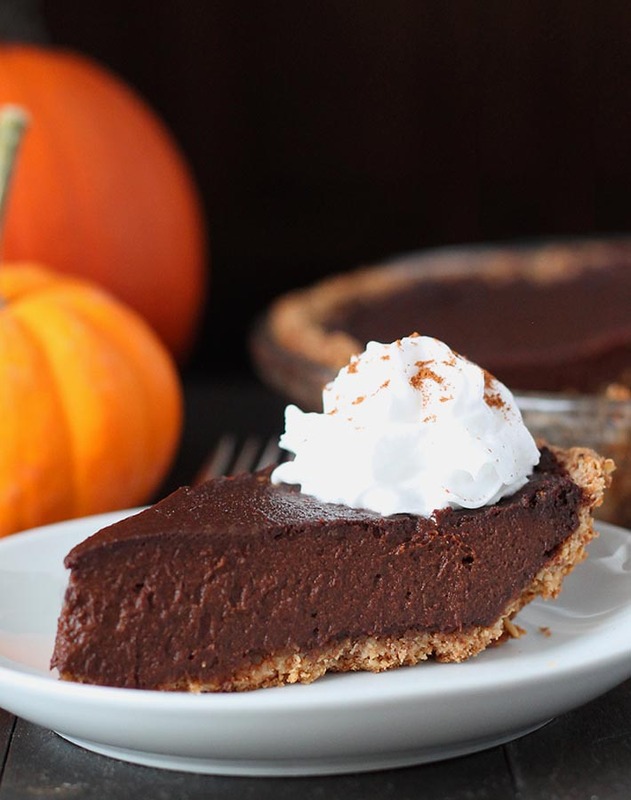 Try this rich vegan chocolate pumpkin pie that’s packed with chocolate and pumpkin flavours and will become a new, welcome addition to your holiday table. Not long ago, I made a video to accompany my vegan gluten free pumpkin spice muffins recipe (you can see the video if you click that link!). In the video, I add chocolate chips to the muffins. When the video was shared on Facebook (on another page, not mine) there was a comment that stood out to me that made me laugh a little. The person commenting could not wrap her head around using pumpkin and chocolate chips together in a recipe. She thought it was a terrible combination and she thought it would taste awful. For the record, I think pumpkin and chocolate go perfectly together. Those muffins I mentioned earlier are a favourite in my home. I’ve tried to use other add-ins like nuts and raisins, but nope, chocolate chips always win out. To me, pumpkin and chocolate goes together like chocolate + banana, chocolate + mint, and apples + cinnamon. We do like traditional pumpkin pie for Thanksgiving dessert and my kids like it so much that they often request it for Christmas dessert as well, but a couple times over the past few years, chocolate pumpkin pie has been requested. It’s nice to sit down at your holiday dinner table expecting all of your favourites, but it’s also nice to sometimes try something different, too! When you look over the recipe for this vegan gluten free chocolate pumpkin pie (it contains NO tofu, by the way! 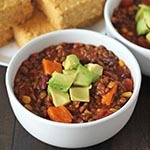 ), you’ll notice that it takes 30 minutes to prepare before you get to put it into the oven. This is due to the way the crust is made (I promise, it’s not complicated! ), but it’s so worth it. If you’re looking for a quicker pumpkin pie recipe, be sure to check out my Quick and Easy Vegan Pumpkin Pie. It has a few shortcuts and just takes 5 minutes to prep. However, if you love pumpkin pie and you love chocolate, then I think this may be your kind of dessert. 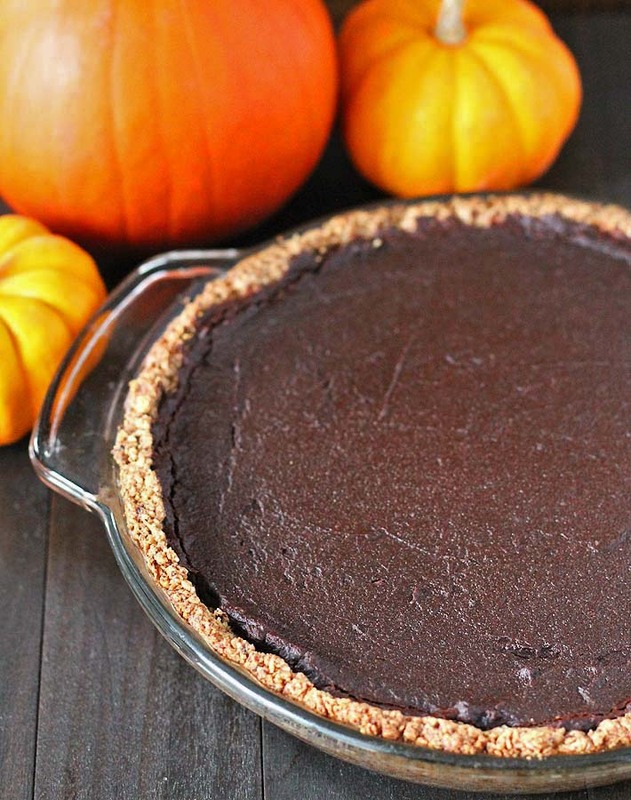 The almond oat crust is gluten free (if you use gluten free oats) and adds a nice contrasting texture to the smooth chocolate pumpkin pie filling. 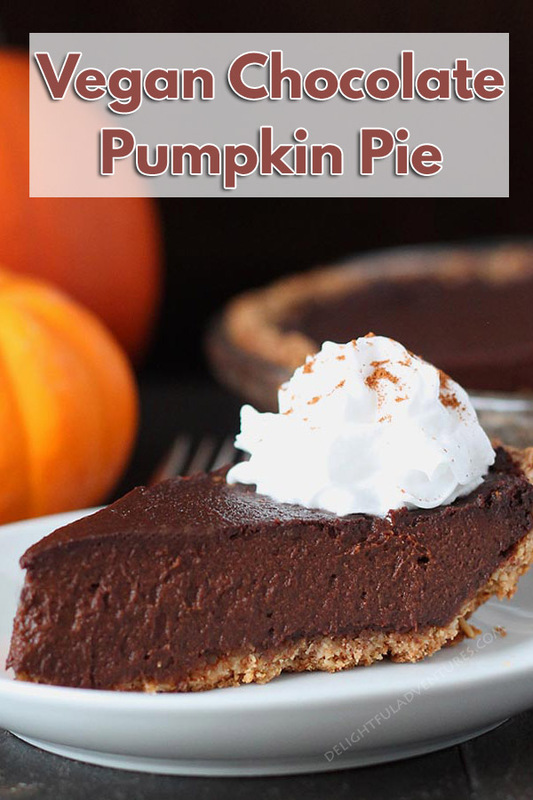 Depending on the type of dark chocolate chips you use, the sweetness of your vegan chocolate pumpkin pie will be based on the percentage of cocoa in your chocolate chips, the higher the percentage, the less sweet it will be. The sweetness may also vary across different brands. If you find that it’s not sweet enough, adjust with more maple syrup. Full details are below in the recipe. I don’t like overly sweet desserts, so the 3 tablespoons is enough for me, but you may prefer to add a little bit more, and that’s totally fine! 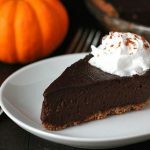 What does a vegan chocolate pumpkin pie taste like?! It tastes like chocolate pudding collided with pumpkin puree and pumpkin pie spices and formed a pie. Simply put, it’s rich, chocolaty, and delicious. Exactly what a holiday dessert should be. A garnish for your gluten free vegan chocolate pumpkin pie is not needed, it stands very well on its own, but I highly recommend coconut whipped cream to take it over the top. Be sure to have a look through all of my other Thanksgiving and Christmas recipes and if you make this one, please share a pic with me on Instagram or tell me about it in the comments below! Looking for a dessert that's a little different this holiday? 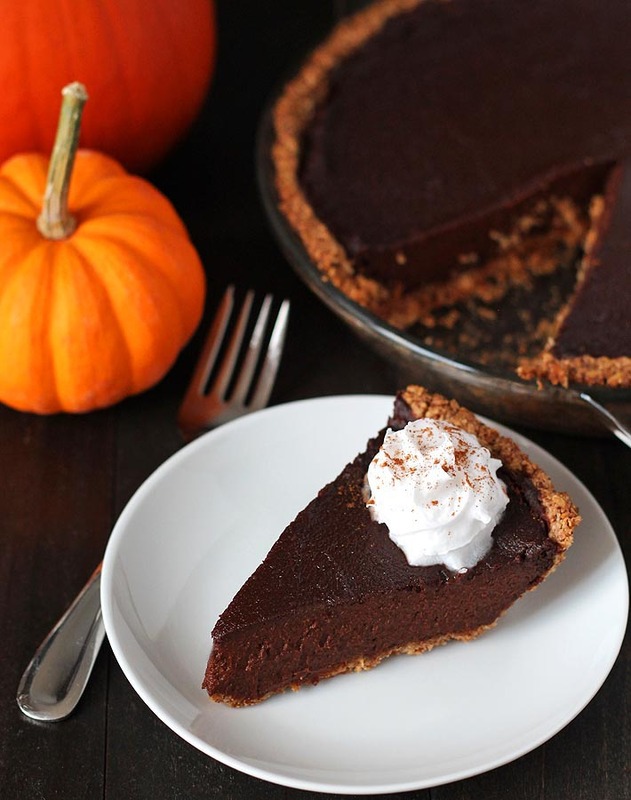 Try this rich vegan chocolate pumpkin pie that's packed with chocolaty, pumpkin flavours. It's also gluten free! Add rolled oats, raw almonds, coconut sugar, ground cinnamon, and ground ginger to a food processor or to the dry container of your high speed blender. Blend until ingredients have been broken down into a fine meal. Put mixture into a 9" pie dish and using your hands or the bottom of a measuring cup, press it evenly into the bottom and up the sides of the dish. Be sure that the thickness is even all around the dish. Refrigerate the crust for 15 minutes. After the 15 minutes have passed, remove from the fridge and let sit at room temperature for 5 minutes. After the 5 minutes have passed, place in the oven and bake for 20 minutes. Remove from oven, set aside, and make the filling. Fill a large glass bowl with hot water. Place chocolate chips in a small glass bowl and place it into the hot water bowl. Let sit and stir every few minutes. Replace hot water as needed until chocolate chips have all melted. Set aside. Chocolate chips can also be melted in the microwave using this method. Whisk together pumpkin puree, arrowroot starch, ground cinnamon, ground ginger, ground nutmeg, salt, unsweetened non-dairy milk, vanilla extract, and pure maple syrup until combined. Add melted chocolate to the pumpkin mixture and mix until combined. Add the pumpkin mixture to the pie crust and smooth the top with a rubber spatula. Remove from the oven and let cool. 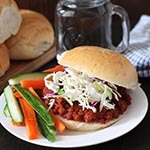 It can be served warm or completely cooled and is great served with coconut whipped cream. If you don't have the three separate spices, you can use 1 1/4 teaspoons of pumpkin pie spice. After adding the maple syrup to the pumpkin mixture, taste for sweetness and if you prefer it to be a little sweeter, add more maple syrup, 1 tablespoon at a time. Homemade pumpkin puree tends to a be a little more runny than canned. 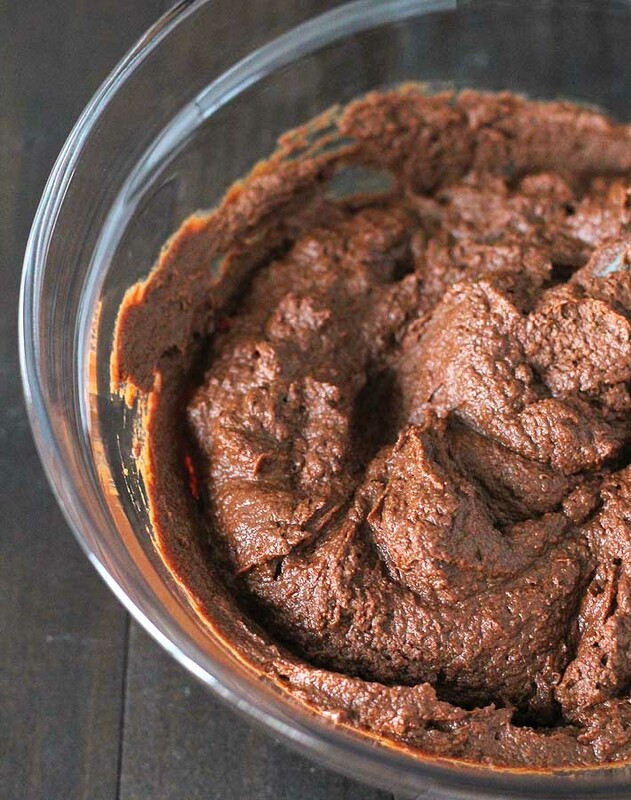 If you are using homemade puree, bump the arrowroot starch up to 3 1/2 teaspoons. Cover and store uneaten chocolate pumpkin pie in the fridge. After chilling, it will firm up quite a bit because of the chocolate chips in the filling. It is great served cold and firm but it you prefer for it to be softer, let it come to room temperature before serving again. Crust recipe adapted from this Oat Pecan Crust Recipe. Calorie count is for 1 of 8 slices and is only to be used as a rough guide. Click here to learn how nutritional info is calculated on this website. What can I substitute for almond ?? 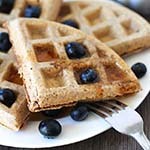 I just found your profile on Instagram and had to come check out this recipe. I have never used pumpkin and chocolate together in a recipe before, but this looks so good I just have to try it! I am so happy that it is gluten free too! I think I should make this for my boyfriend, for our upcoming anniversary. I don’t have arrowroot starch, do you think I could substitute with tapioca starch?